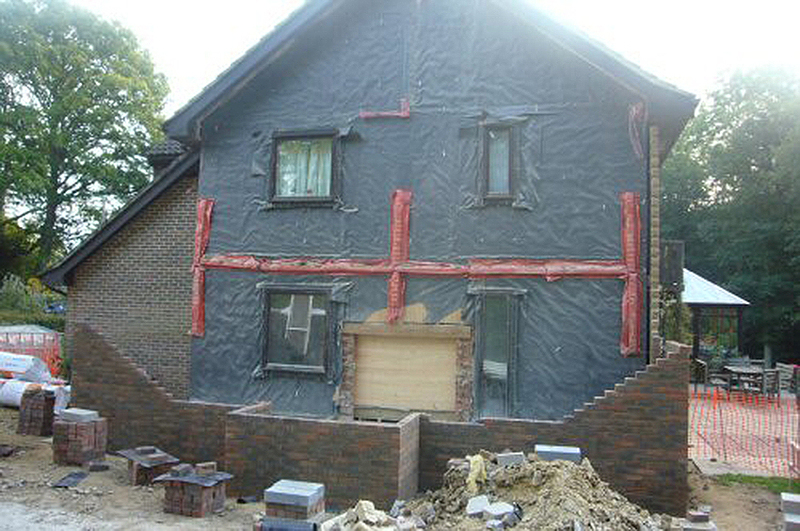 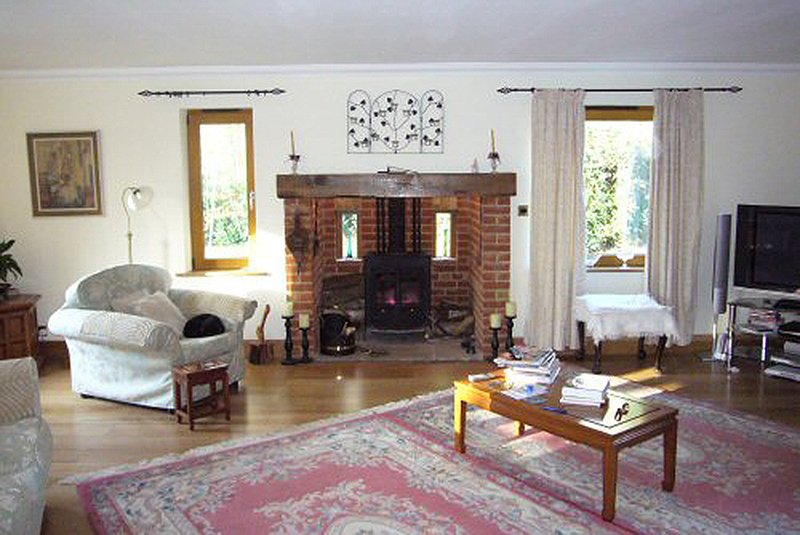 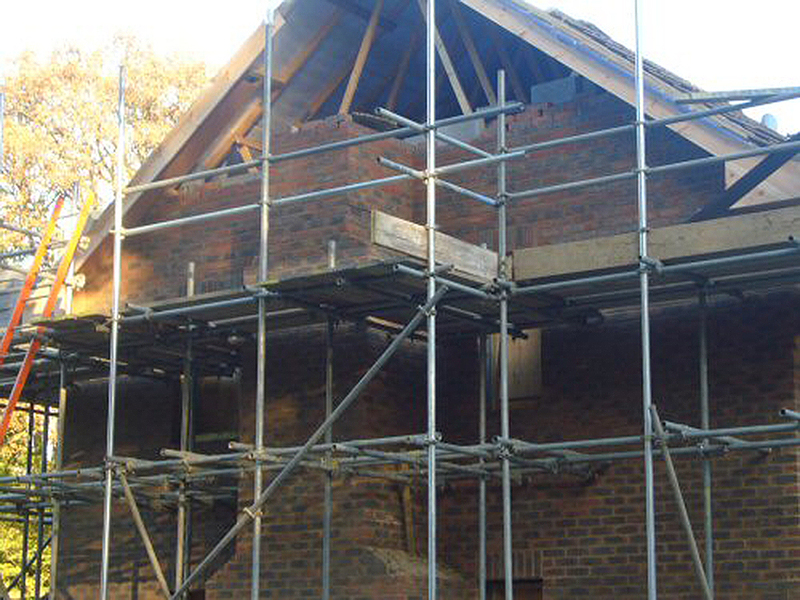 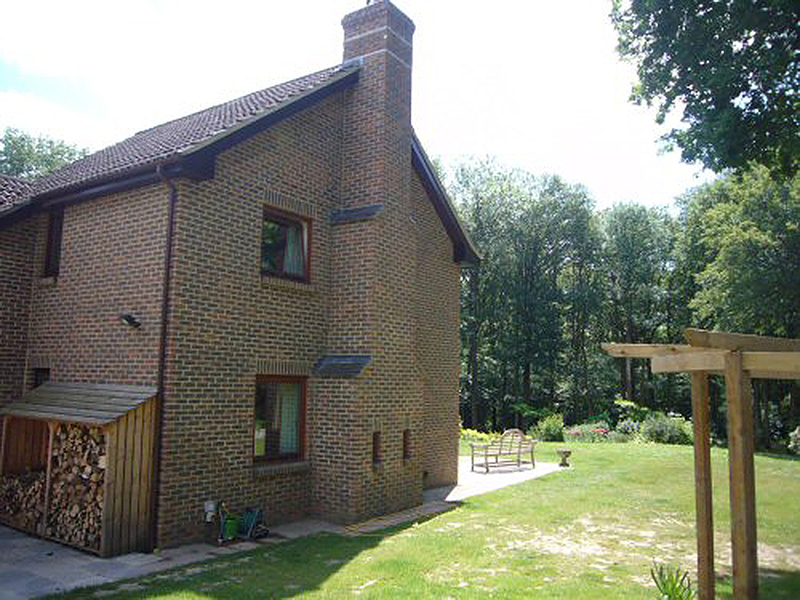 ABM were invited to design and build an eco-friendly extension to a rural home in Loxwood, Surrey. 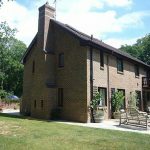 Our brief was to build a sustainable and eco-friendly extension that was as sympathetic as possible to the original dwelling, and which also offered efficient running costs. 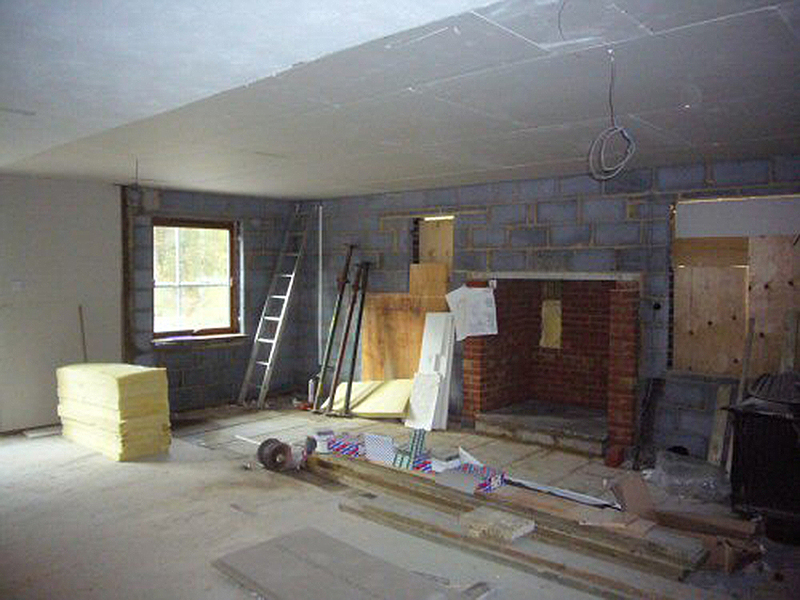 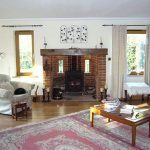 The extension consisted of a large lounge and first floor bedrooms, including en-suite facilities. 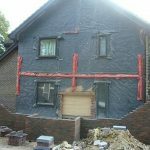 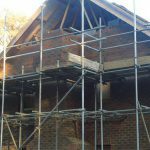 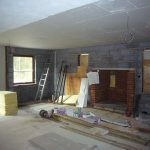 The construction method consisted of breathable internal timber framed leaf (FSC certified), Thermafleece insulation to the cavity and loft, and external reclaimed bricks to the outer face which were sourced locally. 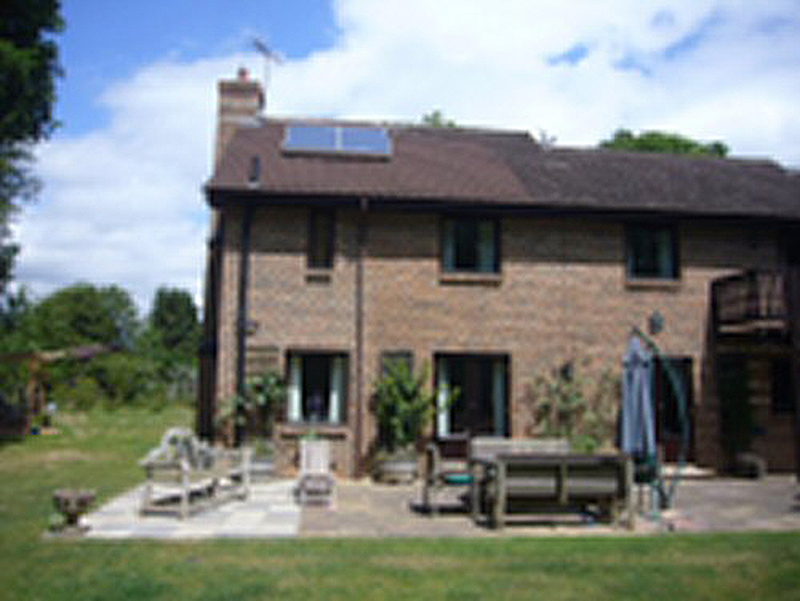 Solar panels were installed to the south facing roof elevation, and these were connected to a system including a new wood burning stove situated in the lounge. 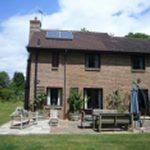 The combination of the solar panels and the stove now provide free hot water and space heating throughout the year. 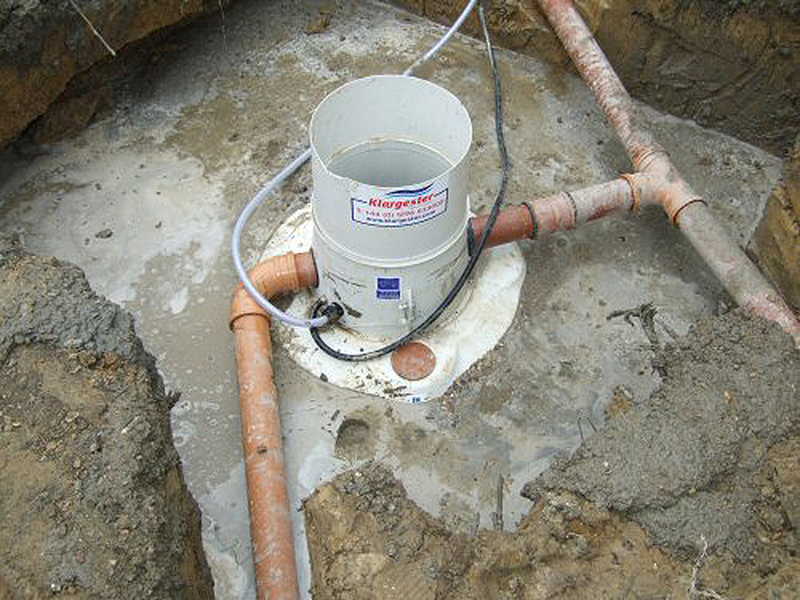 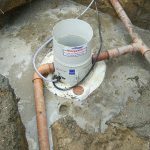 We also installed a rainwater harvesting system that recycles storm water in the garden, which in turn supplies free water. 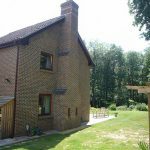 All windows are hardwood, using the passive tilt and turn system, and feature argon filled triple glazing that achieves a U–value that far exceeds government guidelines (0,77w/m2k). 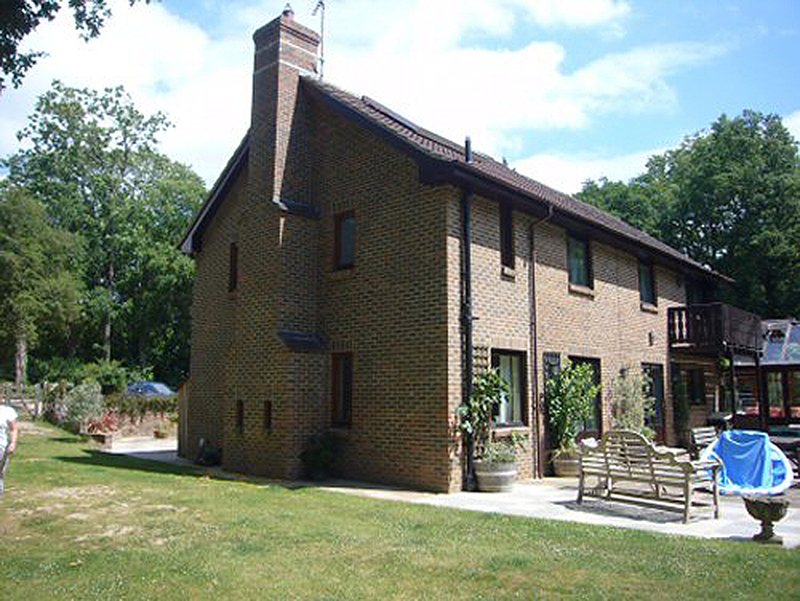 The extension blends in perfectly with the existing home and the clients expressed their delight with the extension and the service that ABM supplied.